PT Industri Nuklir Indonesia (Persero) – INUKI or known as PT INUKI (Persero) is a reputable state-owned company in Indonesia, running business in nuclear technology based industries. Its business include Radioisotopes and Radiopharmaceuticals, Nuclear Fuel Element (EBN) and engineering services. According to information found in INUKI’s website as cited by JobsCDC.com, INUKI was first established in 1996 and initially registered as PT Batan Teknologi (Persero). This company was established based on RI Government Regulation No 4 of 1996. INUKI is based in Tangerang Selatan Banten and now has 1 branch office Jakarta. INUKI also supported by 3 sub divisions; Subdivision of Radioisotope and Radiopharmaceutical (RI / RF) Production, Subdivision of Nuclear Fuel Element Production (EBN) and Subdivision of Technical Services. 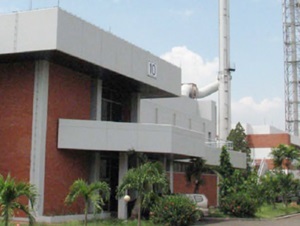 INUKI’s head office is registered at Kawasan Puspiptek Gedung 70, Muncul, Setu, Kota Tangerang Selatan, Banten 15314. INUKI is a non listed state-owned company and its shares are fully-owned by the Government of Indonesia. Education background in SMK, Diploma, S1 and S2 in any field. Fresh graduate (maximum 1 year). Diploma/temporary degree verification statements (SKL). Letter of recommendation from campus (especially for final year students).